Every time Indrani Mukerjea appears in court as she faces trial for the murder of a daughter she gave birth to when she was 15, the cameras get a picture of her and it is always published. People can't take their eyes off the greying, exposed roots of her hair. As the grey increases, we all wonder what we'd look like if we were locked up without tools to put our public face on. Indrani's public face, when she was the owner of a TV channel, was so glamorous, so put together, that we can't believe what just two years in prison has done to it. It's as though Dorian Gray is looking in the mirror and everyone else can see it too. We stare. When Manjula Shetye, a woman prisoner lodged in a Mumbai prison died in custody, the headlines were all about Indrani. Instead of getting to the bottom of the autopsy report, which claims that a lathi was not inserted into Manjula's private parts, we wondered whether Indrani Mukerjea is just using this death to get some prison benefits. Irresistible though Indrani's story is, we have to look beyond at what Manjula Shetye's death really tells us. While working on my book Behind Bars: Prison Tales of India's Most Famous, I found that just in the last year 40 people had died in Tihar jail. 40 deaths and I barely remember any story about it which was more than a paragraph in newspapers. The year before that, in 2015, there were 43 deaths in custody, a sharp rise from the 35 in 2014, but none of us asked any questions. In five years, between 2009-14, there were 150 deaths in Tihar, but no lawmaker raised it in a parliamentary debate. Forget journalists and lawmakers, even human rights organisations have given up asking about conditions inside jails, perhaps because they know that no one cares. Just like the Women's Commission has ordered an inquiry into Shetye's death after Indrani Mukerjea complained, inquiries are ordered and forgotten. Somewhere, at the back of people's heads is the thought that if someone was sent to jail, they deserved to be treated badly or tortured...Deserved to have your dignity tossed away and yes, even get beaten to death because you reported that eggs were missing from prisoner rations. 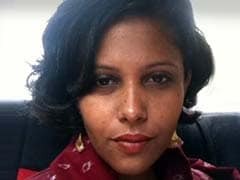 But an inquiry into Manjula Shetye's death in custody is important. The people conducting it must go beyond listening to fellow prisoner Indrani's statements. They must hear the experiences of other inmates. In Tihar jail, Rehmana, a woman who spent years in prison because she was married to a terrorist, told me how she saw Elizabeth, an African woman in jail for a minor crime, being stripped naked and whipped publicly. What had she done to deserve this? She got angry and threw a matka (clay pot) of water. It's not confirmed, but maybe Elizabeth was just angry because she had been languishing in jail for four years for possessing drugs, a crime that is punishable by up to seven years in prison. There is one question that many have raised since Shetye's death. How is it that all those who tortured her were women? They should perhaps read about the experiences of Wahid, who was acquitted in the 7/11 Mumbai blasts case last year. Wahid alleged to me that the jailer at the Arthur Road prison, Swaty Sathe, didn't just facilitate their torture in custody, she also raised an emergency alarm which allowed prison guards to mercilessly beat inmates and then denied them any medical attention. Imagine having a fractured arm or leg and then not being given a pain killer. Wahid said when he saw a woman jailer he thought she'd be kinder, but alleged that she was the cruellest of them all. She later faced action after a judicial commission proved the prison beatings. I started with Indrani Mukerjea and here is why. While I understand the obsession with famous inmates, I do hope that her presence in the case and the attention it has brought to it leads to some good for others too. That it leads the authorities to think about those children of inmates who got caught in the prison riot after Shetye's death and the conditions they are growing up in. We are proud of the progress we are making in society, but an important part of being progressive is to have reform centres that help maintain human dignity. Where no one beats inmates to death for reporting petty corruption in the kitchen. Meanwhile, if you are still wondering about Indrani's greying hair, you should know this. Not everyone has to go through that. You can go to court for special permission to get your favourite hair products because the jail manual says that you have the right to maintain yourself in jail as an undertrial. You just have to be able to afford it - the hair colour and the lawyer to fight that case for you.